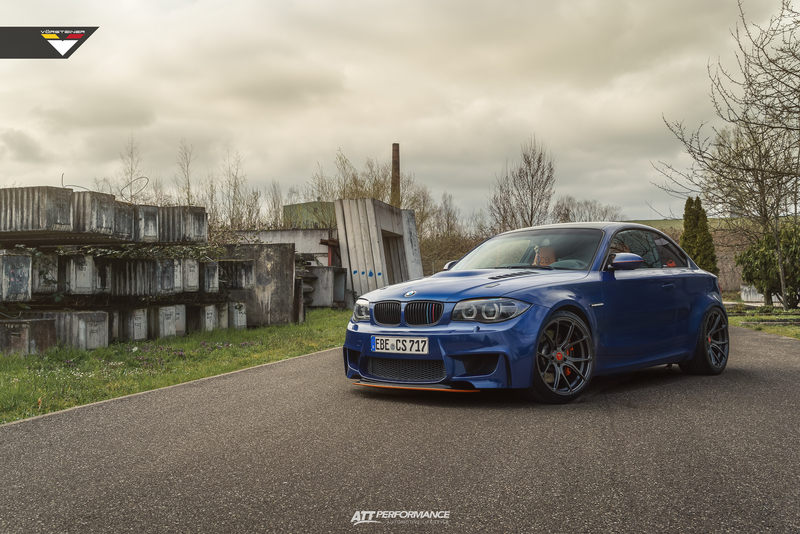 The M2 may be getting all the attention these days, but the impressive and legendary BMW 1M is still alive and kicking well. The famed small hatchback shows a few aging signs, but that’s something easily mitigated by some aftermarket tuning upgrades. 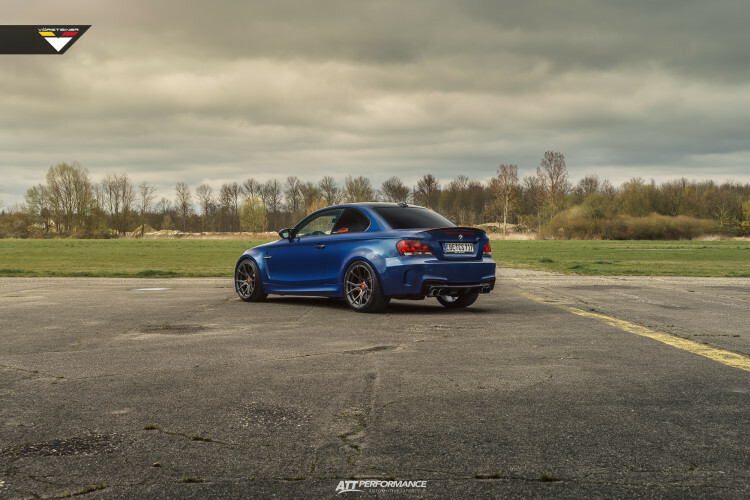 In the case of this BMW 1M, the upgrade made is a set of Vorsteiner V-FF 103 Flow Forged wheels – a perfect addition for this vehicle – along with a blue vinyl wrap. The wheels come in sizes of 19×9.5 in the front and 19×9.5 in the rear and finished with Carbon Graphite color. The build is completed by ATT-TEC – a Rastatt based tuning company. 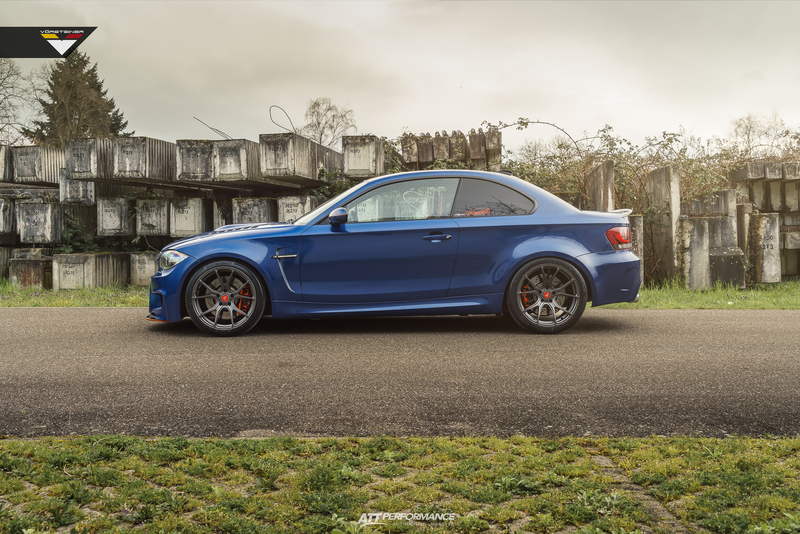 The wheels are one of the better looking designs in the wheel world, giving great looks to high-performance models like the BMW 1M. 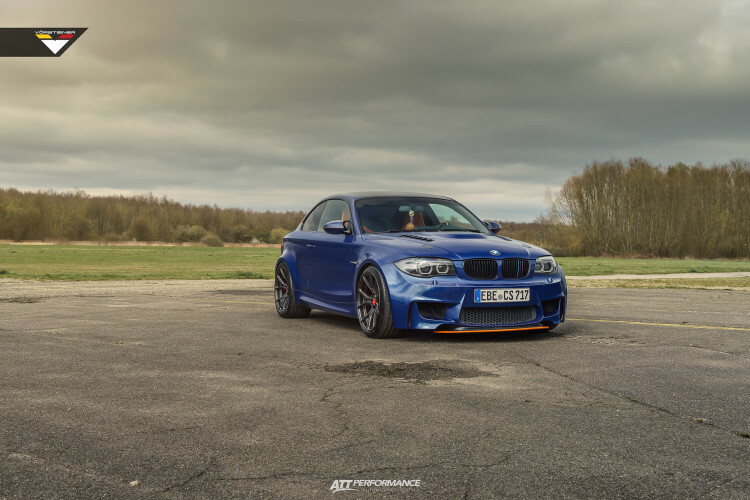 The BMW 1M uses a re-tuned version of the twin-turbocharged N54 engine which is used in various other models, such as the 2011 BMW 335is. The 3.0 liter BMW TwinPower Turbo produces 340 PS (250 kW) at 5900 rpm and 332 lb-ft (450 Nm) torque from 1,500 to 4,500 rpm. An overboost feature brings the total torque to 369 lb-ft (500 Nm). The only available drivetrain is a six-speed manual gearbox with a limited slip differential. This gives the compact 1M an impressive performance allowing it to sprint from 0-62 mph (0-100km/h) in just 4.3 seconds. The car comes with an electronically limited speed of 155 mph (250km/h), more than enough in most driving scenarios as well. This photoshoot is created by C-Kraft Photography.